It is difficult to imagine a more evocative region in France than Provence. A melting pot of history, culture, food and wine, little wonder it is the number one region for French tourists in their country. From the marvel that is Avignon, and its famous bridge to the wild, untamed history of the Camargue, the visitor, is spoilt for choice. Aix en Provence is the centre for the production of olives grapes and almonds. Cezanne was born in Aix and lived in the region painting some of his most famous landscapes. Today it is a world renowned centre for painters. The French Riviera beckons as do Nice and Cannes and their spectacular festivals. Some of greatest painters in the world have been drawn to the region for its light and landscape. Finding a place to start is your biggest challenge. Surrounded by its famous white walls, Avignon is steeped in history that easily stretches back over a thousand years. The famous bridge that stretches out across the river once linked the pilgrimage routes of Italy and Spain. The bridge was started in 1177. A young shepherd named Benezet came down from the mountains of the Ardeche declaring he had been sent by God to build a bridge in Avignon. Today this ancient city hosts one of the biggest performing arts festivals in the world. Now in its seventieth year, the festival attracts over 100,00 entries. Each July the city is awash with performers and dazzling costumes from dawn to nightfall. “La Provencia Romana” was the first real Roman are of cultivation outside Italy. The region still bears the hallmarks of arenas, amphitheatres and aqueducts. Come to Arles to savour the world heritage site Roman Amphitheatre. The gardens of Arles were famous too. Van Gogh himself painted them, immersing himself in the vivid colours of the region. Cézanne painted the region’s landscapes, as did Monet. A region steeped in legend and history, the Camargue lies in the heart of Provence. Imagine watching the white horses of legend being rounded up. Picture the flocks of wild flamingos. 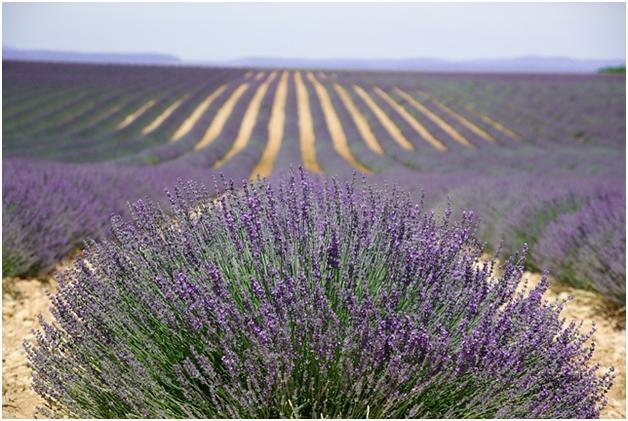 Sample the magic perfumes and indulge your senses amongst the flowers and fields of lavender. Lavender is harvested in July when the air itself seems to be heavy with perfume. Closer to the coast, St Marie de La Mer, lies at the heart of gypsy folklore. The town and region hosts a world famous festival each year when gypsies gather and play their legendary jazz guitars. This stunningly well preserved Roman Aqueduct is a wonder. Swim in the river here, hire a boat, or simply enjoy the Rhone river at its finest. No visit to the region would be complete without tasting the Provencal Fish Stew that is world famous. This mouth-watering dish is a speciality based on delicious fish. However, the subtle aromas of unique flavouring that come from a mixture of saffron, fennel seeds and orange zest make it dish to savour. From Nice to Cannes, from jet setting Monaco, the fullness of the French Riviera has to be experienced to be fully understood. The sense of history here is palpable, and your place in it is waiting.